Stunning color photographs by Philip Plisson capture the beauty, danger and mystery of the deep in the oversize volume The Sea: Exploring Life on an Ocean Planet, adapted by Robert Burleigh, text by Yvon Mauffret, illus. by Emmanuel Cerisier. From fishermen braving the currents to playful dolphins, lighthouses, shipwrecks and more, these dramatic photos, printed on glossy paper, document the many experiences of sealovers. The text provides brief commentary about the subjects in the photos. 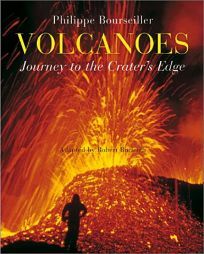 For landlubbers, photographs of eruptions fill the pages of a companion volume, Volcanoes: Journey to the Crater's Edge, photographs by Philippe Bourseiller, adapted by Burleigh, text by Helene Montardre, illus. by David Giraudon.